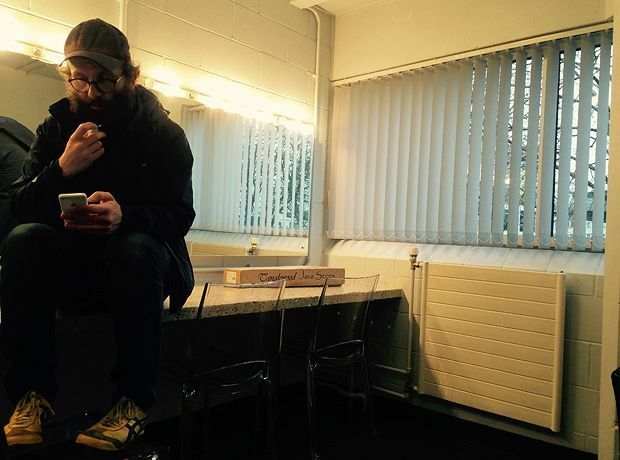 Ever since his first forays into drama, Daniel Kitson has consistently shown that he has one of the most exciting minds in British theatre. During one of the interludes in Mouse, the award-winning performer – still better known to many for his stand-up – remarks that he ought to tailor his ambitions to his ability: yet it is the match of his skills and the structure of the play that makes it a remarkable journey. Kitson's familiar themes are all present. The protagonist is a lonely, aging man who longs for more, and struggles with creativity. The fourth wall is regularly broken, and Kitson becomes himself, explaining the background to the plot and chatting amiably with the audience. There's the gradual revelation of tragedy, the use of familiar tropes – including a hidden reference to Ancient Greek drama – and the self-deprecating humour. It's a mark of his talent that he reworks these themes into something startling and emotive. The plot is simple. A man receives a phone call, supposedly a wrong number. He spends the night chatting to the stranger, sharing intimate details. There is a moment of revelation, which the audience works out long before the character in a moment of dramatic irony. Whether Kitson is merely exercising a midlife male crisis or hinting at the deeper pain of the human condition, his apparently ramshackle presence hides a serious awareness of the stage's potential to probe emotional anguish. Limiting his cast to himself, he develops the hero's character in intricate detail, never wasting words or moments and consciously manipulating a layered theatricality that looks like realism. The show's Edinburgh run is sold out, so too few people will experience the magic of Mouse. Compassionate, funny, charming and bracing, it showcases Kitson's genius without ever letting it get in the way of the story or melancholic message. Traverse Theatre, until 28 Aug (not 15, 22), 10.00pm, £12 (sold out).